What a great couple Jennifer and Tim are! 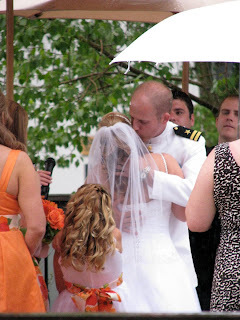 Their wedding in Vail Colorado was gorgeous, despite the rain. In fact, the rain made it all the more memorable! The ring bearer was their adorable yellow lab named Baxter. The evening was a blast! Their guests danced the night away, and had a wonderful time. 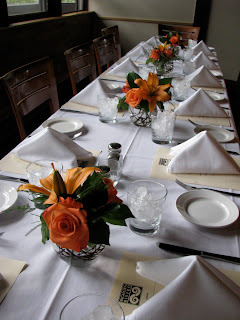 The wedding was at the lovely Vail Racquet Club, and the wonderful wedding flowers were created by Amore Fiori. Jennifer and Tim had an incredible wedding cake, thanks to Intricate Icings. I loved working with Jennifer and her family through the planning process. They are so warm and caring. We wish you the absolute best in your lives together! Great photos and wedding! Great to work with you!